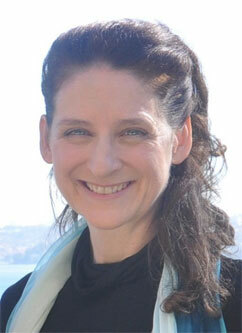 Helen O'Neill's work has been published in Australia, the US and the UK. Her books include the critically acclaimed, award-winning bestseller Florence Broadhurst: Her Secret and Extraordinary Lives, based on the life and art of the brilliant wallpaper and fabric designer Florence Broadhurst, and David Jones' 175 Years. The Unlikely Pilgrimage of Harold Fry by Rachel Joyce – a British novel in which a mild-mannered man called Harold receives a letter and decides to go for a very long walk. It’s beautifully written, wonderfully unpredictable, moving, funny and captivating. The Mitchell Library’s Reading Room in Sydney’s State Library of NSW is a magical place. I’ve loved delving into its collections, as I did for my biographies Harry Seidler: A Singular Vision and Florence Broadhurst: Her Secret and Extraordinary Lives, and it’s always fun spotting literary celebrities there beavering away on mysterious projects. Changes are afoot at the Mitchell and I look forward to hearing more. Paris. I spent a wonderful six months there thanks to an Australia Council literary residency at the Keesing Studio in the Cité Internationale des Arts, and I hope one day to go back. ‘Don’t stop, keep going’ – yelled at me years ago by somebody else’s personal trainer as I jogged along the cliff path between Bondi and Bronte beaches. While I’m not sure about the wisdom of shouting this at random joggers it is excellent advice for writers. Harry Seidler was a powerful architect and a fascinating, polarising man whose life story has an epic quality about it as well as being full of surprises. I could not resist the challenge of taking it on, nor of making full use of such wonderful visual material. 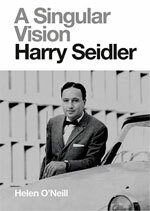 Harry Seidler: A Singular Vision includes images by Seidler himself, of course, but also by those he collaborated with so closely including the master-photographer Max Dupain. Want to know more about Harry Seidler: A Singular Vision? The power, passions and private life of the architect who shaped modern Australia. Harry Seidler, a stylish, decisive and highly opinionated man, was a key figure in international modern architecture and in the establishment of post-war modern design in Australia. He emerged as Australia's preeminent architect, the man who effectively shaped the look of modern, urban Australia. While many know his buildings, few know his fascinating story. Born in Austria to an affluent Jewish family, his world fell apart when as a young boy he had to flee the looming Nazi threat. Without family and without a word of English, he escaped to England. Later, cruelly, he was interned as an enemy alien during the war, and sent to Canada. During his time in the Canadian camp, he virtually taught himself architecture, and once the war was over, studied in Canada and at Harvard in the United States. His parents moved to Australia after the war, and in 1948, Harry came to Australia in response to their invitation to design a house for them. the house he built for them, now known as the Rose Seidler House, represented a huge shift in Australian modern domestic architecture. It was soon followed by a succession of innovative house designs. He followed these with amibitious, towering office blocks, such as Australia Square and the MLC Centre, forever changing the skyline of Australia's cities. Without Harry Seidler, our cities and homes would look very, very different. A lavishly illustrated, stylish and beautifully designed book, A Singular Vision is a celebration of one man's extraordinary life, his influence, and his many towering achievements.